The concept of community feast has been adopted by almost every culture in India and it is often regarded as one of the best ways of worshipping the almighty God and sharing meals with people from all walks of life. According to the ancient Indian cultures and traditions, community feasting is all about gathering good karmas and is thus categorized as ‘Punya-arjana’. The Indian communities also consider community feeding to be a highly sacred job. It is popular by various names such as bhandara, langar, bhog and even annadanam in different parts of the country. In this article, we’ve delved deeper into the concept of community feast and also outlined its significance among different communities in India. The concept of Guru Ka Langar was established by Guru Nanak Dev Ji who belonged to the sikh community. Langar is basically a Perian word, which implies ‘an alms house’ or the house of the poor -and the poverty-stricken. Guru Nanak Dev Ji stressed on the fact that all individuals are equal and hence must eat and enjoy their meals together. Guru Amar Das Ji later continued the traditions and also made it mandatory that anyone who wanted to meet him would first had to finish eating his/her food at the langar. In order to organize langar, people from the Sikh community get together and participate in different tasks such as cooking, preparation and food serving as well as cleaning of utensils. Langar also teaches the Sikh community to spread equality, offer their free service and remove the social prejudices and evils prevalent within the society. While, the Sikhs offer Langar at their gurudwaras , the concept of Bhandara is popular among the Hindu caste and communities in the country. 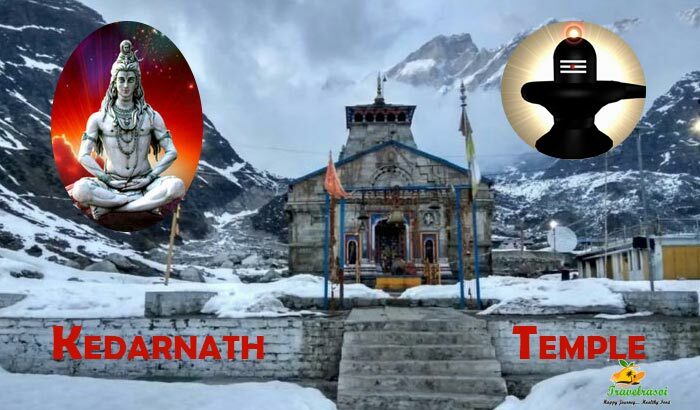 Bhandra is essentially and offering made as part of worshipping the lord, especially during festive season. During a Bhandara, people from all religions are openly invited to the temples where they’re served with freshly cooked meal or bhog (usually Khichdi-a dish made up of rice and moong daal). Bhandara can also be organized by any individual (referred to as the yajamana) who wishes to worship the lord. After performing the rituals and worshipping the almighty, the yajamana serves food to the poor and the needy sitting right outside the temple. A number of Ashrams across India, specifically in Haridwar and Rishikesh offer Bhandara on a daily basis to the devotees and other poor people. Bhandara is also organized to celebrate a birthdays, anniversaries or weddings and to commemorate the death of the departed soul. 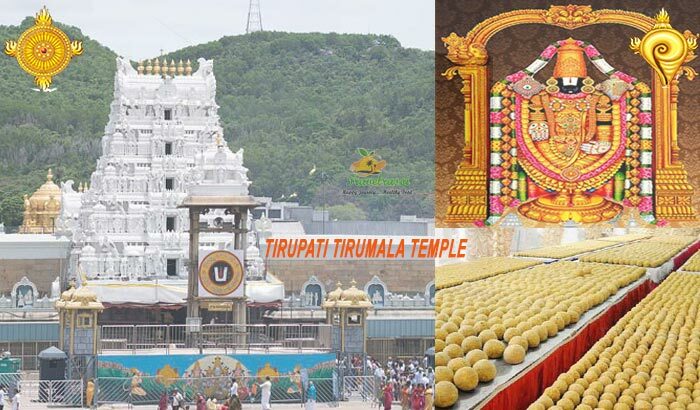 In southern India, specifically at Tirupati, almost every renowned temple offers Annadanam or free of cost food to hundreds of pilgrims and devotees who choose to seek the lord’s blessings and guidance. In fact, many devotees make their own contributions to this large-scale feeding program, hoping to receive nothing in return. Another temple in the Udupi town of Karnataka-the Dharmathala Manjunath temple, which is run and managed by the Heggade brothers, has its own Annadanam kitchen where food is prepared for one and all. 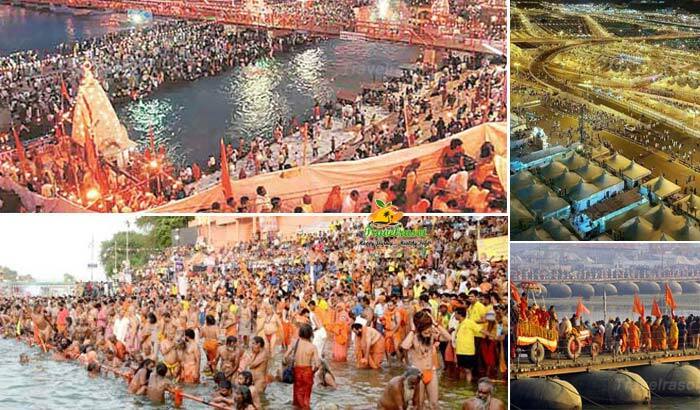 During festivals, the kitchen serves almost seventy quintals of rice, two thousand conconuts and fifteen quintals of vegetables to the devotees. Even in Maharashtra, the Sri Sai Sansthan Prasadalaya, which is a unique solar kitchen in the country, serves free breakfast packets to the devotees during the morning. Puri’s Jagannath temple, which falls in the eastern part of India, prepares bhog on a daily basis. In fact, it is said that your visit to the temple would only be complete after you’ve tasted the bhog, which is served as well as cooked in beautiful utensils carved out of clay. The Jagannath temple offers bhog to around 25,000 devotees on any given day and as many as 100,000 individuals during festivals. 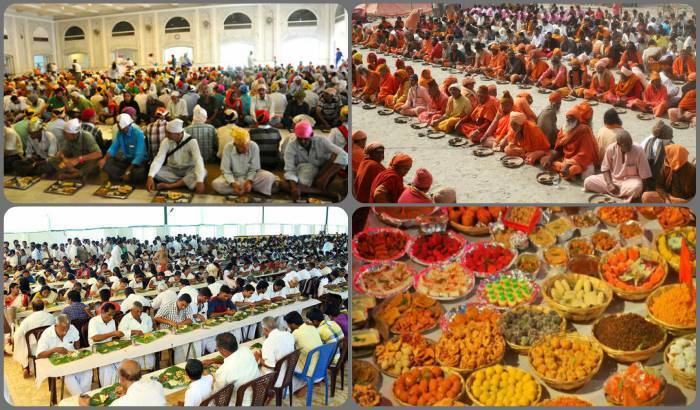 Share the post "India-The Amazing Land of Bhog, Bhandara, Langar and Annadanam"